I find recently that more people are asking me what I use as my CCW setup and the kind of ammo I carry. I usually don’t speak about it much because so many people have their opinion and rarely care what others use anyway. But ,it has come up a lot lately . A few of the others have already addressed this in the past as far as their taste goes. So, I am going to spend a few minutes writing about it, and some of my other habits that I feel are worth doing. I read everyday it seems, from some one saying they can not carry anything bigger then a sub com-pact. Because its not comfortable and makes them tired. Not that its hard to hide. Just that it’s “heavy”. Well. I am not one of those guys. I carry a full size government model Colt 1911XSE all day, every day of my life. And, I carry at least two spare magazines. Now most of the time, the mags are all Wilson 8 rounders. 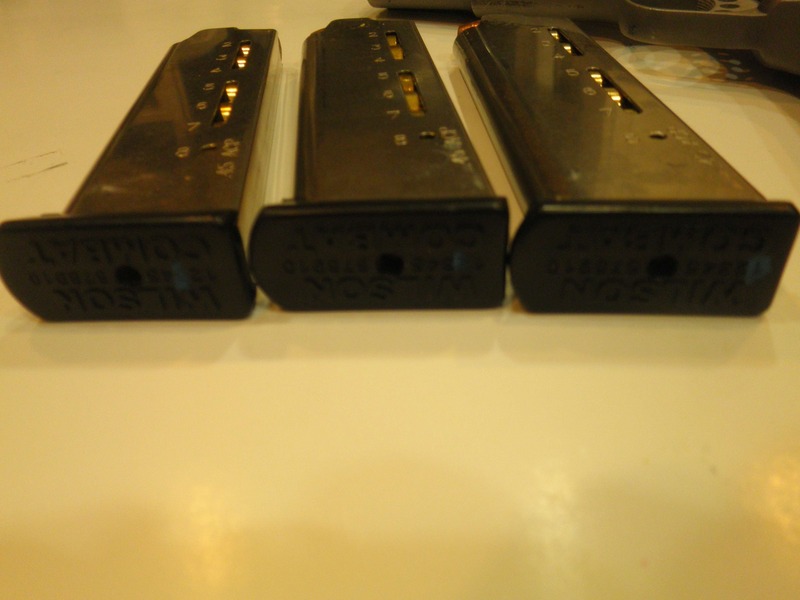 But, in the winter, at night I will sometimes use the Wilson Combat 10 round magazines. I use all the Wilson mags and find them great, but recently I have been using the newer version of the mags with the slightly larger base pad that comes with some other improvements from Wilson. The base pads come with numbers on the bottom., and I put a little pain marker paint on the numbers 1 through 3 on each magazine I carry. This way if one does develop a problem, I can come back to it later and ID which one it was. As far as the ammo goes, I am very particular. I have very strong feelings about the round I use because I want to make sure it will save my life and not let me down. The round that is my carry round is the Corbon DPX 185 grain +P DPX solid copper hollow point with the factory advertised muzzle velocity of 1075FPS. I have used a chrony to check this claim and I find it to be so close to the claimed velocity that i feel no need to nit pick. It is pricey but it is worth it in my opinion. I have tested it ever since I discovered it and have seen it do some pretty amazing things. I was going to write up some of what I had seen this round do over the years in a well organized paragraph or two. But while looking for some details on maybe the powder the factory uses, I ran across this post from” DeltaKilo,” A MOD over at the 1911forums and I thought it was perfect to relay,here. He says about everything I wanted to say, but better. Here are his comments below. ” Every test I have read on the round by others has shown a consistent penetration of 16-18″ through both Bare Gel and 4-layer denim. I have seen it penetrate auto glass and car doors and still penetrate 14″ and expand consistently. In every case, it expands to .65″ (average of maximum diameter of petals and maximum diameter of body, actual petal tip to petal tip diameter closer to .85-.9), regardless of barriers. I have personally seen the bullets punch through a 1/8″-thick plate of steel and penetrate 14″ and expand on the other side. Yes, your average lead hollowpoint will show 13-15″ penetration and expansion through 4-layer denim, and will expand of .65-.8″ on average. However, they can stumble when going through barriers, and show possible failures going through extremely thick materials such as heavy winter coats and leather. Most of the proven hollowpoints in the Ballistics Info sticky don’t have that problem, and will penetrate OK. I agree. This is very well said and a good description of the round. I have also seen personally the 185 DPX +P penetrate mild steel and still expand and a few unscientific personal tests on a deer carcass back in summer of 2010, showed me destruction and penetration I had not seen before. Seeing how it performed after I laid a winter coat and cotten T SHirt over the ribs and fired through it really sealed the deal for me. I also shot the round through 8 auto windshields to determine how it held together ( unscientific and very informal) really impressed me. 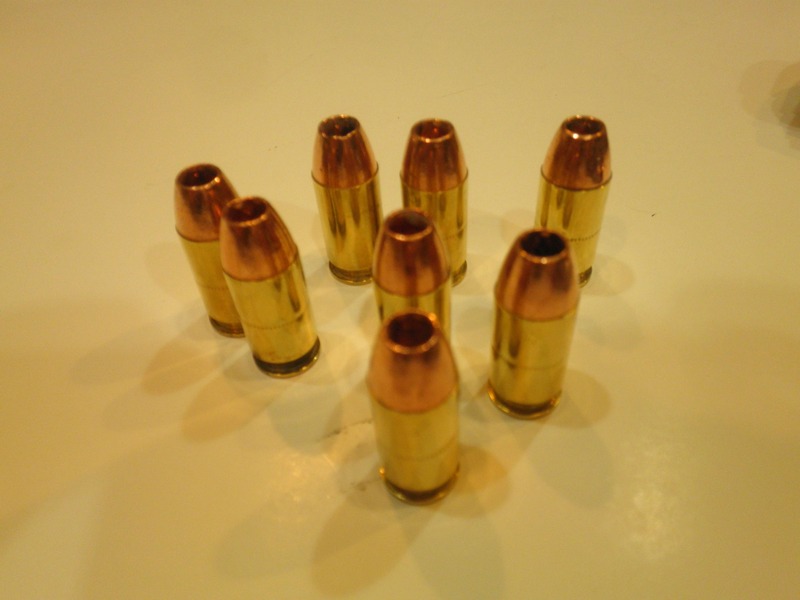 On a side note, all of my personal defense rifle ammo uses the Barnes TSX solid copper hollow point. barnes makes the bullet for the Corbon load and the rifle rounds are the same kinda thing. Solid copper that is Very effective. I use the 70 grain solid copper TSX in my 5.56. 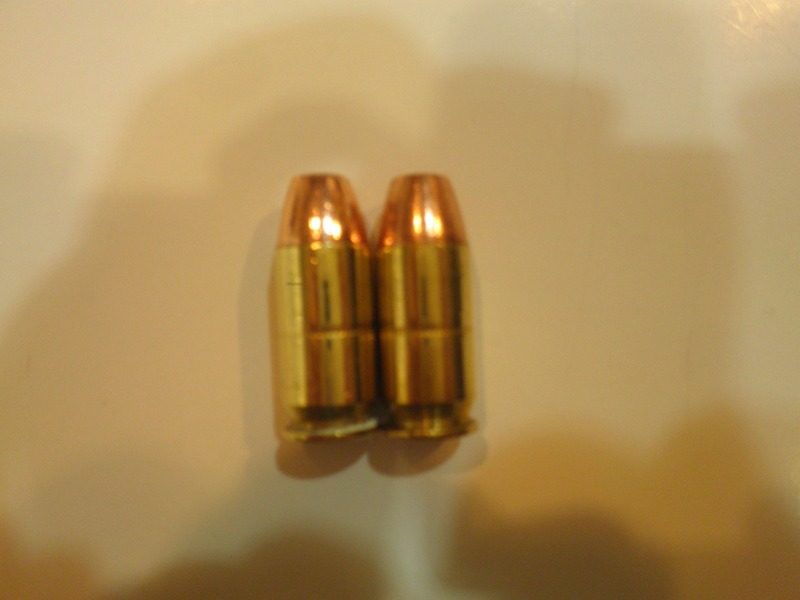 This is the same bullet used in the US SOF “Brown Tip” 5.56 OPTIMIZED round. I also feel that even if all that fails. It is still a .45 caliber bullet and if you think that does not matter, well… Whatever you want to tell yourself is fine with me. Some people report that the round will not always feed reliably, but I have not seen that happen. But, as I said before, I do not bother with “tight” or “hard fit” guns for self defense or fighting. I think it is a terrible idea and I have gone into detail on why in past posts. 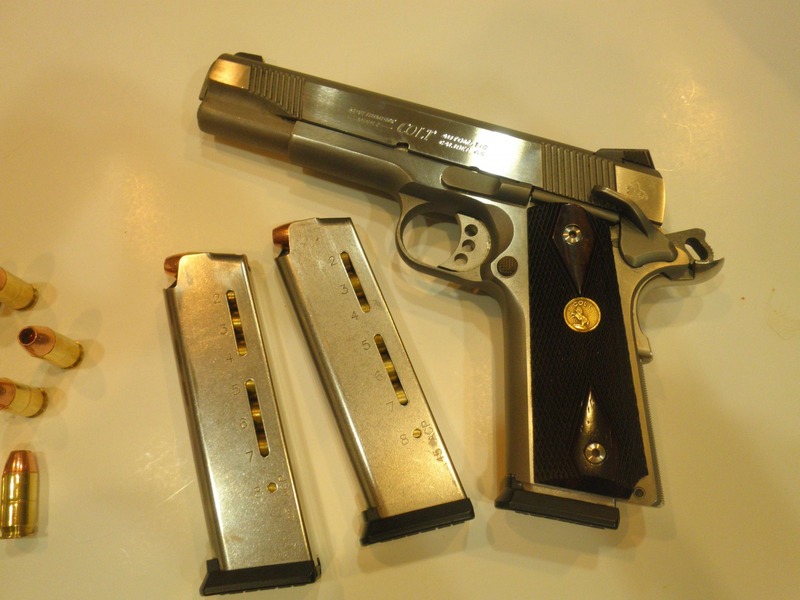 My gun is the Colt 1911 XSE which is a combat gun, made to combat specs with a few improvements but not a hard fit target gun. I do a few other things to help insure the ammo will work for me when I need it. I always measure each round to make sure they are the same length. I want no surprises, I visually inspect each round before it goes into mags for carry, I look for any problems. Like primers not exactly centered up, I check the neck and case mouth area for dints or dings, I also measure the length as I said before, I look for any discolorations and I roll them on a flat surface to see if anything obvious is out of whack. I also use Never Dull or Mothers polish to clean up the tarnish off the cases and projectiles once a month. I wear my gun no matter the weather or how much I sweat, and this gets on the gun and ammo eventually. If you wear it all the time like you should, it happens. It takes just a little time and effort, but it keeps them clean and will not let anything nasty set in before I notice. I also rotate out the ammo every year. If you chamber and re chamber a round, it has to leave EDC use or at the very least inspect it carefully and rotate it out. 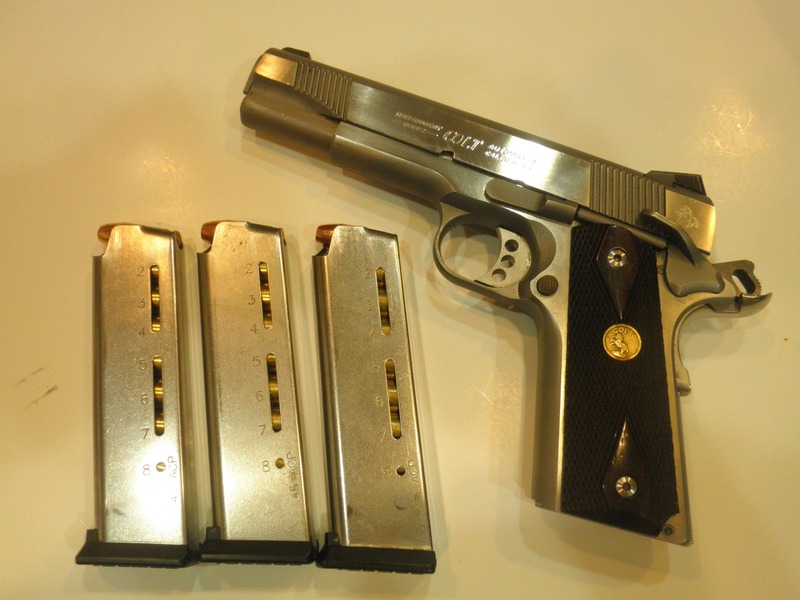 I carry a 1911 in condition 1, the way its supposed to be carried and I don’t unload it or empty it unless absolutely necessary, so I do not end up damaging the top round often. But even doing a chamber check can eventually start a tiny bit of bullet set back, so I still rotate the chambered round out every so often. Keeping them clean and inspecting them takes little time and little effort, but it could make a difference one day, even in your supposedly infallible glock. I do recommend looking the ammo over closely when you buy it and before it goes into the gun. Of course, this is after accuracy testing and firing enough to know it will be OK in your gun. A lot of people have bored me with how much they just love to spend all day cleaning a gun even after only firing one round. But few of them seem to remember the ammo is -part of the system and needs the same care and attention. one thing use the most reliable ammo at all cost is the best way to go ….